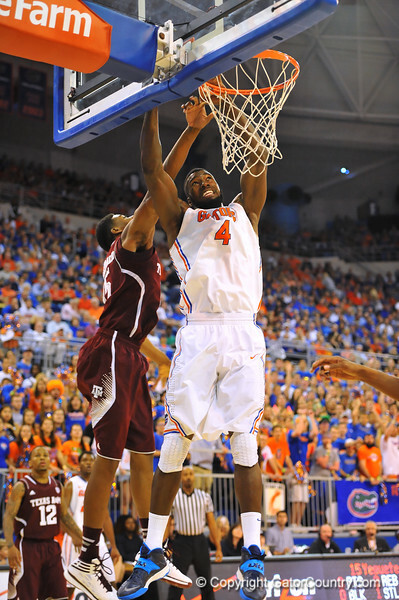 Florida center Patric Young leaps up toward the net past Texas A&M forward Davonte Fitzgerald for the dunk. Florida Gators vs Texas A&M Aggies. Feb 25th, 2014. Gator Country photo by David Bowie.